Dr. Masaru Emoto, a researcher and alternative healer from Japan, has given the world a good deal of evidence of the magic of positive thinking. He became famous when his water molecule experiment was featured in the 2004 film, What the Bleep Do We Know?‘ His experiments demonstrate that human thoughts and intentions can alter physical reality, such as the molecular structure of water. Given that humans are comprised of at least 60% water, his discovery has far-reaching implications…. can anyone really afford to have negative thoughts or intentions? 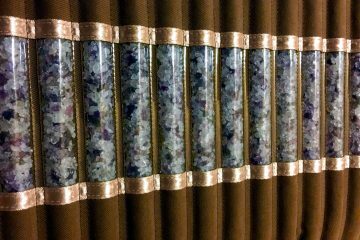 The Studies – A group of approximately 2000 people in Tokyo focused positive intentions towards water samples located inside and electromagnetically shielded room in California. That group was unaware of similar water samples set aside in a different location. Ice crystals formed in both sets of water samples, yet only certain kinds of formations were present within the water they were concentrating on. Ice crystals formed from both sets of water samples were blindly identified and photographed by an analyst, and the resulting images were assessed for aesthetic appeal by 100 independent judges. In conclusion, the present pilot results are consistent with a number of previous studies suggesting that intention may be able to influence the structure of water. 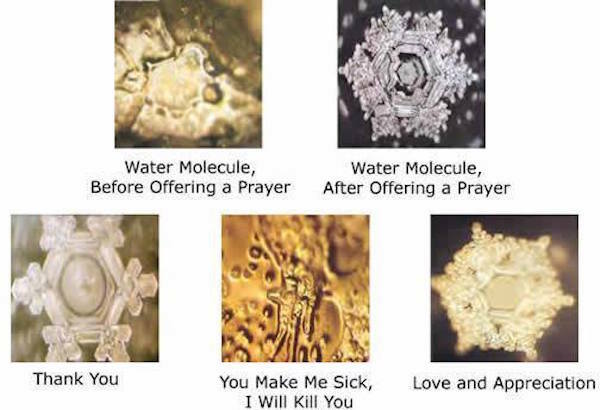 Here is a photo of the effect direct states of conscious intention had on the structure of water. 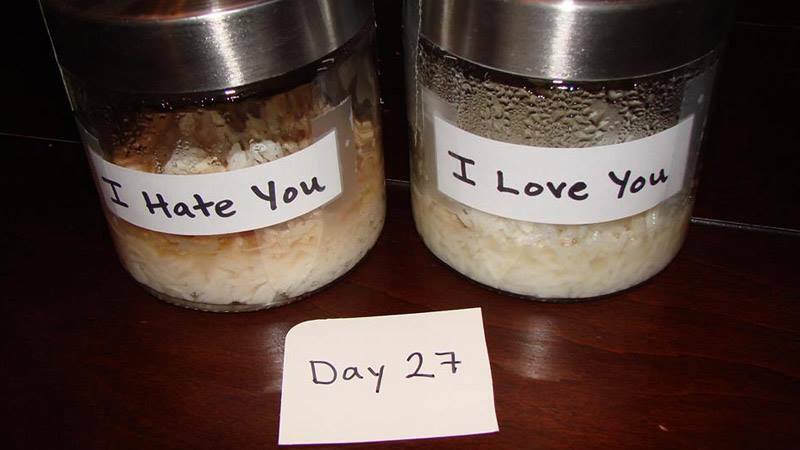 The Rice Experiment – The rice experiment is another famous Emoto demonstration of the power of negative thinking (and conversely, the power of positive thinking).